The premier online concierge doctor network, where you can retain your very own private physician for a nominal monthly fee. Whether you are a busy professional or a college student, you can avoid the hassle of traditional office-based medical practices by connecting with your Cirrus Medical Network (CirrusMED) physician 24/7 via secure online encounters such e-messaging and video-conferencing through virtual appointments. Our physicians are board-certified Primary Care Physicians (PCPs) with state licenses in your state. Upwards of 90% of primary care visit complaints can be managed via telemedicine or online. Go ahead and check out the list of conditions treated online. Prescriptions are e-prescribed to your local pharmacy of choice. See our Prescription Policy. With several membership options, you can choose the plan that fits your needs. A “VIP” option is available for those who seek instant access to their physician via phone or text messaging. All 3-Month Trial and Annual Membership plans come with a free “Welcome Package” containing useful diagnostic tools such as a blood pressure monitor, thermometer, and pulse oximeter - all which aid your physician in making the right clinical decisions for your health. Unlike many telemedicine services, Cirrus Medical Network physicians are “your doctor” for as long as you like. Thus, you will get continuity of care just as you would if you were to establish care with an office-based primary care physician. You and your PCP will develop a rapport which will develop over time, so you can trust that your health is in good hands. Your online doctor can manage chronic medical conditions such as high blood pressure, diabetes, high cholesterol, as well as host of other conditions. Labs, X-rays, Diagnostic Studies, and Referrals are all utilized just as they are in an office-based setting and can be arranged online. Of course, all medical treatment is done within the scope of online consultations, and is ultimately determined by your CirrusMED-affiliated physician. Each Cirrus Medical Network member will receive a “get to know you” conference to go over any concerns and review one’s medical history. In addition, any routine wellness visits and/or follow-up visits can be scheduled as a virtual visit any time. No need to deal with a busy clinic’s phone system, reception, or a waiting room full of sick people. Your medical record is maintained in a HIPPA compliant secure cloud-based electronic health record (EHR) that is available for your review at any time. If you truly value your health and your time, then you will appreciate having the enhanced doctor-patient relationship with a Cirrus Medical Network physician. Each CirrusMED-affiliated physician limits their online practice to no more than 400 patients. Therefore, as a Cirrus Medical Network member, you will get the medical attention you deserve. This is not WebMD, or Google MD..this is Your Doctor. Online. 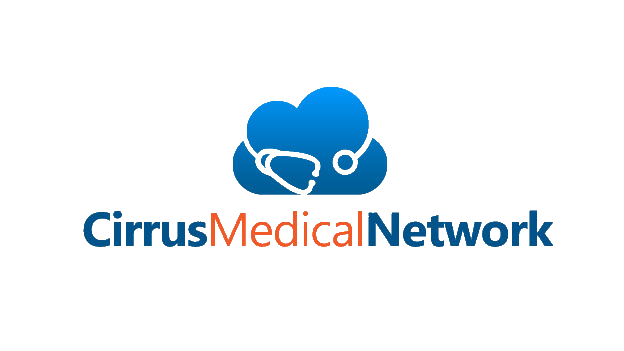 If Cirrus Medical Network sounds right for you, then sign up here. Have more questions? Check out our Frequently Asked Questions or contact us.